Almost Live From New York -- More Founders Club! Fotolog CEO John Borthwick told us that the sale of his company to France’s Hi-Media Group had just cleared its last regulatory hurdle, and was awaiting a shareholder vote set for later this month. Meanwhile Andy Weissman, John’s partner in Betaworks, told us that we’re working too much. We agree! Andy also told us that the holding company had just been briefed about strategy changes at its iminlikewithyou investment. We’re supposed to hear more about that soon. This would be a common refrain for the evening. 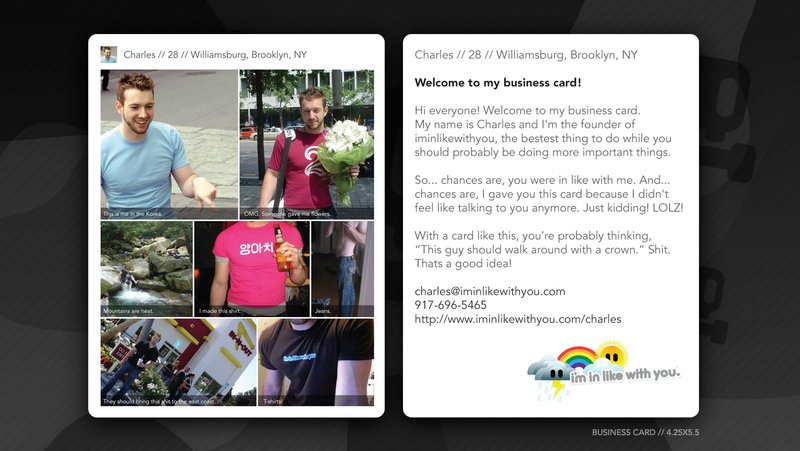 And iminlikewithyou’s Charles Forman grinned and handed out collectors’ edition business cards. We spied Digg.com’s Jay Adelson, which isn’t tough, since Jay’s awfully tall. But we were unable to penetrate the ring of three or more people that constantly mobbed him. Had we done so, we would have told him that we’re big fans. Likewise: MC Hammer — really — who we also didn’t chat with. Upenda Shardanand, whose Daylife has been awfully quiet since a high-profile launch, promised us that they’d be making noise again — soon. We’re all ears. Jonathan Marcus, who we first mistook for Hotel Chevalier’s Jason Schwartzman, explained that he’s actually a vp at Vimeo; furthermore, he told us that we’ve misunderstood the economics behind Vimeo’s HD offering, and that he’d like to set us straight. Again, we’re all ears. We caught some pointers on how to work a room simply by trailing behind our ex-Forbes colleague Caroline Waxler, who has a day job at TV Guide Online but whose real job is connecting people. Caroline helps run the Glasshouse networking events, and also specialises in freelance, impromptu matchmaking. Caroline offered to contribute some freelance pieces for us, but then we had to explain the economics of blogging to her. Targetspot’s Doug Perlson told us that his Internet radio ad network is up and running in a handful of cities, and that local advertisers are seeking him out — but that in some cases he’s not ready to take their money yet. An excellent dilemma. We gather that there was some sort of afterparty at the famed Rainbow Room, and we’d love to tell you about it, but a handful of us didn’t meet the Room’s no-sneakers dress code (dudes — it’s 2007). So we took our business to nearby Langans, where they regularly serve much scruffier sorts. See Also: Live From Henry Blodget…It’s More Founder’s Club!